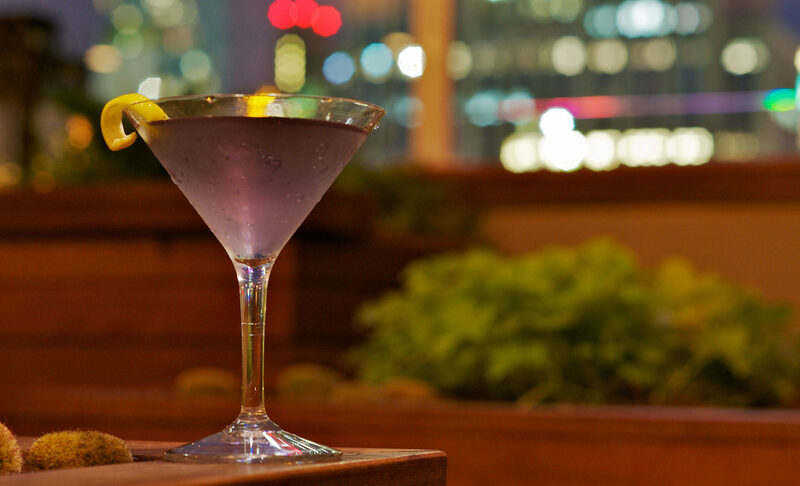 The Empire State Building is the star of New York City’s famous skyline, and what better way to view it than with a tasty cocktail in hand? When I recently visited the Big Apple for a birthday getaway, I decided to stop by the Top of the Strand rooftop bar to do just that. 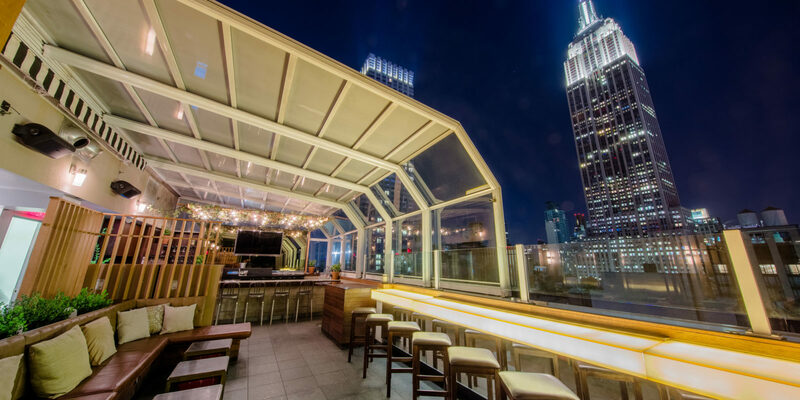 Located at Marriott Vacation Club PulseSM, New York City, this popular rooftop bar is just four blocks away from the Empire State Building and offers a postcard-perfect view. 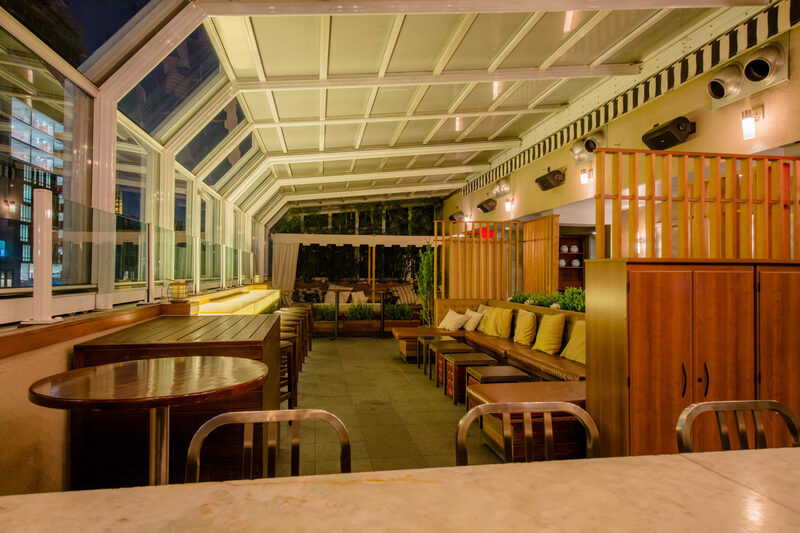 According to Lindsay P., one of the bar’s friendly servers, the Top of the Strand stands out for one major reason: its retractable glass roof. After spending some time at the Top of the Strand, I discovered that the view is just one of the reasons this rooftop bar is worth a visit. As previously mentioned, the Top of the Strand showcases a vivid, almost startling view of the Empire State Building. The bar is open-air when it’s mild outside, but still provides an incredible vista through the glass roof during cold or inclement weather. The environment is particularly enchanting at night, when the famed skyscraper and surrounding buildings are lit up like towers of twinkle lights. According to Lindsay, the patronage is a mixture of travelers and locals, particularly an after-work crowd, but you “meet people from everywhere.” The bar’s decor is casual-chic, with a few bar tables and cozy cabanas. It’s a space that feels light and airy yet romantic and intimate at the same time. When I visited, I was on my way to dinner nearby, so I didn’t try any of the bar snacks. But the menu listed several yummy-sounding options, including truffle popcorn, house-made potato chips and a smoked salmon platter. The Top of the Strand is open from 5 p.m. to 1 a.m., making it a great place to stop by for a happy hour or late night snack to go along with your cocktail. The bar offers beer, wine and mixed drinks, including classic New York drinks like Manhattans and martinis. But the main attraction is the seasonal cocktail menu, which changes every few months so it never gets boring. From the winter menu I tried Smoke Show, a mix of smoky Laphroaig, strawberry preserves and other delicious ingredients. The amaretto cookies crumbled on top added a touch of sweetness to the peaty whisky, making it a unique, can’t-miss combo if you enjoy scotch. I also got to preview a drink from the spring menu, the Chrysler. This citrusy cocktail paired grapefruit juice, gin and orange peel to create a light and refreshing drink, perfect for open-air nights at the bar as the weather warms up. 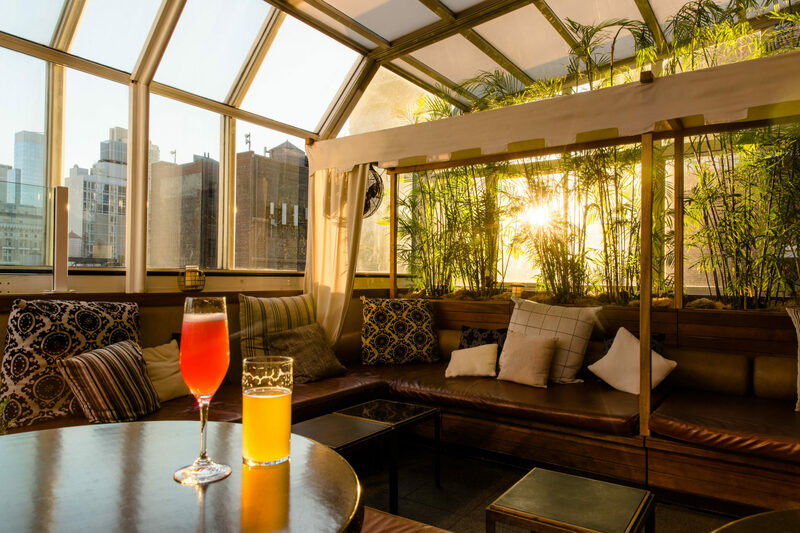 Top of the Strand generally doesn’t take reservations, but you can book a cabana for a large group or reserve a spot for special holiday events on Valentine’s Day and New Year’s Eve. The venue also sometimes hosts private events, so you may want to call ahead to check when it’s open to the public.